here my desktop , hope you like it. 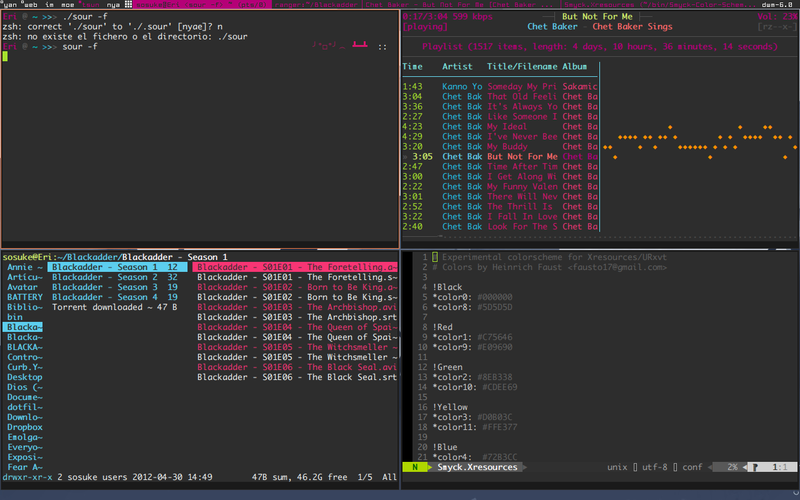 Will you please share you .Xresources for terminal colors? Looks amazing. The second SS looks like it's manual-tiling mode... Is there such option in Xmonad? If yes, I need to try it, if not, what's this layout called? You can do something like manual tiling in Xmonad and feel pretty much like wmii. wow, can you pass those along? 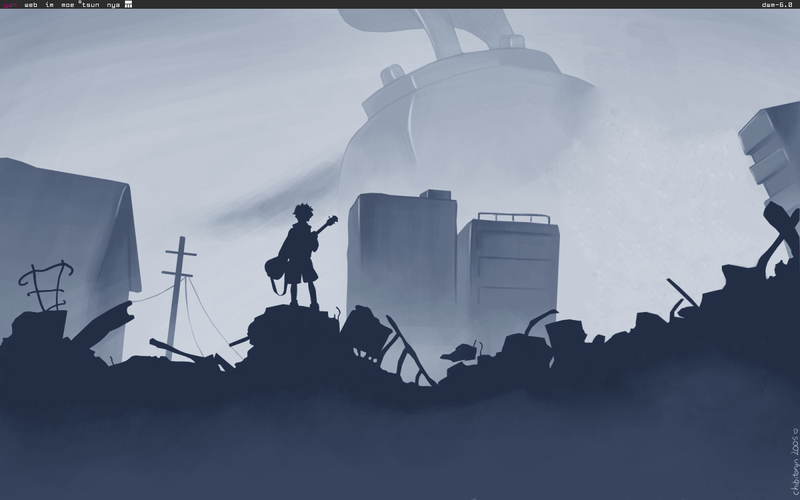 After some minor tweaks, I think I'm pleased with this desktop. 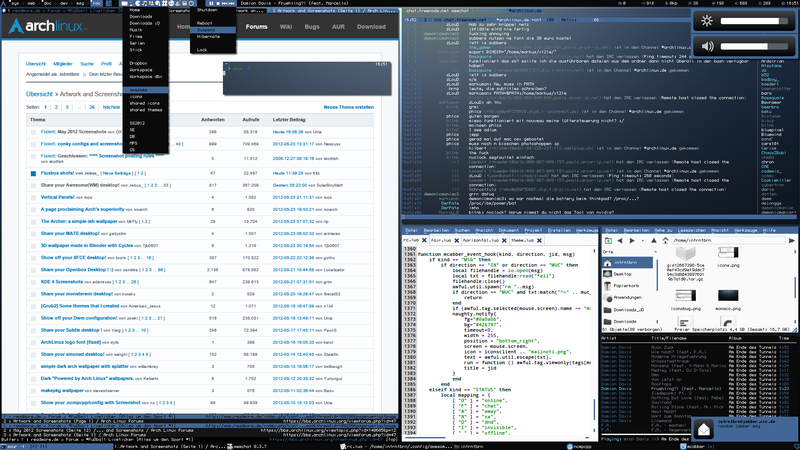 Currently running Arch Linux, dwm and some terminal programs . If you want some of my dotfiles, just follow the link. some changes, but impossible to get everything on one snapshot. Really cool awesome, it's original. Nice to see, you're using it. Yep, I fell in love with them /o/. I love that background. Care to share? Edit: Sorry, I didn't realize this was last month's thread.